Young children love to go to the post office and most have seen a mailman before. What is the postman doing, anyway? Where do letters go? Answer these questions with a post office thematic unit. Get started with the following mailman lessons for preschool. Students will learn more about mailing and receiving letters. Teach your students about the process of creating and mailing letters and how the mail carrier delivers the mail with these lesson plans. In circle time, read the book, Delivering Your Mail, by Ann Owen. This story explains the job of the mail carrier. After you finish reading the book, discuss the reasons for writing letters, and how that letter gets to the right person. Explain the concept of the address and stamp that appear on every envelope that is mailed. Consider a field trip to the post office. Keep the tour simple, and at a preschooler's level. Show where the letters go after they are dropped in the slot, and how they are transported to faraway places, and then delivered by the mail carrier. Look at a variety of stamps and watch some postal workers as they do their jobs. Preschoolers will draw their own picture (letter), then "mail" it to another student. Through this process, they'll learn all about creating and mailing letters. Each student will also pretend to be a mail carrier. Objective: Students will prepare a letter, then deliver it to the right student. The students will draw a picture for another preschooler in the classroom. Assign a student for each preschooler so that everyone gets a letter. Write what the child would like to say about the picture at the bottom of the paper in a sentence or two. Next, show students how to fold the paper into thirds, to fit inside the envelope. Show where the stamp goes, and have each child put a stamp on their envelope. Talk about why we use stamps on letters. Then write the receiving student's name and address on the envelope, as the child watches. Discuss what an address is, and why we put it on the letter. When the letters are finished, collect the letters in a cardboard mailbox that you have made. Let students take turns delivering the letters. When everyone has a letter, the students can open and look at them. Teacher will observe for understanding of what a letter is, what is needed to mail a letter, as well as who delivers the mail. Use discussion to gain knowledge of the level of understanding of the concepts. This is a math lesson on patterning using one-cent stamps. Your preschoolers will have a blast using the stamps to copy the pattern modeled. Then, they'll have even more fun making their own pattern. Objective: Students will recreate a pattern from a model. Create a model strip with a repeating pattern on it for students to copy. Then give students a construction paper strip. Have the students try to recreate the pattern using the stamps. Use 2 to 3 different types of stamps. You could also use stickers that look like mailing stamps. For younger preschoolers, use a simple repeating pattern. Older preschoolers may be able to create patterns using 3 different types of stamps. On the back, students may want to create their own pattern. Teacher will observe the finished product for correct recreation of the pattern. 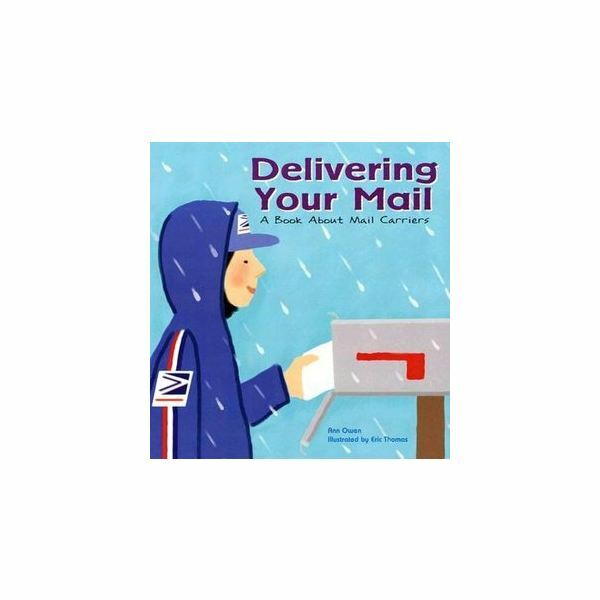 The above mailman lessons for preschool are sure to excite young children as they learn all about how mail carriers deliver the mail. If you're planning a community helpers or post office unit, be sure to include these lessons.